A new family adventure from Universal Studios Home Entertainment and "Goosebumps" creator, R.L. 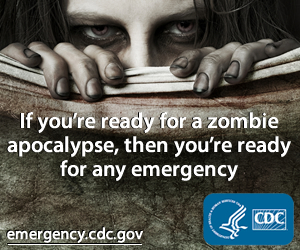 Stine is coming to DVD and Blu-Ray™ combo pack with DVD, Digital HD & Ultraviolet™ on September 2, 2014. Stine's "Mostly Ghostly: Have You Met My Ghoulfriend?" will also be available on digital HD on August 19. 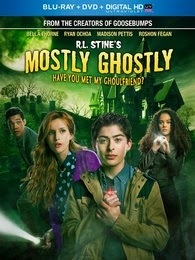 Bella Thorne (Shake It Up!, Gook Luck Charlie), Madison Pettis (Lab Rats, Beverly Hills Chihuahua 3) and Ryan Ochoa (Pair of Kings, The Perfect Game) lead an ensemble cast in this spooktacular adventure with new ghosts, new thrills, and the return of some old friends. Max (Ryan Ochoa) only has eyes for Cammy (Bella Thorne), the smart, popular redhead at school. When Max finally scores a date with Cammy on Halloween, Phears, an evil ghost with plans on taking over the world, unleashes his ghouls and things go haywire. With the help of his ghostly pals, Tara and Nicky, can Max thwart Phears’ evil plot, help reunite his ghost friends with their long-lost parents and still make his date with Cammy on Halloween? R.L. Stein's Mostly Ghostly: Have You Met My Ghoulfriend? is frightful family fun!